Great Britain’s David Millar and Steve Cummings were both disappointed with their performances in the World Championship men’s time trial. 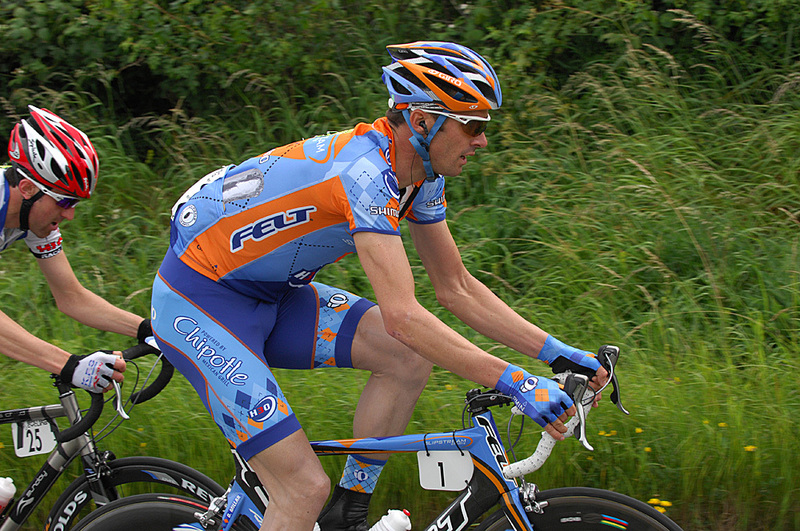 Millar finished ninth, 1-25 behind Bert Grabsch. That is a large margin but a further study of the results shows that Millar was only 20 seconds from third place and the bronze medal. Cummings finished 25th in a time of 54-56, 2-54 behind Grabsch. Second place in the Tour of Britain proved he is on form but he admitted he did not have a good day. Millar had set the time trial as his big objective for the second half of the season, sacrificing results in other races, and so was not happy with the result, even if he was close to a medal. He sat in his skin suit in the back of the Garmin bus (the Great Britain bus here in Varese) after his ride, trying to talk through and work out what went wrong. ?I started off good and went off at the right speed but just didn?t have it in the second half, it just wasn?t there,? he said in a quiet voice and with a blank stare. ?It was an average me which was very disappointing. I was expecting a lot more. Not a good day at the office basically. ?There seems to be only one guy who gets it right all the time and that?s Cancellara. Everybody else seems to be hit and miss. I?ve definitely been more miss of late. It?s fairly unpredictable top ten but we always get a fairly eclectic top ten. It?s a fairly unpredictable event but I put a lot of work into making it predictable and yet I still managed to miss it.? Millar worked hard in recent weeks even going to altitude between races but admitted a long and intense first season at Garmin had perhaps left him empty. ?We tried a few different things such as trying going to altitude between the two races, I also did a proper taper this time coming into it,? he explained. ?I put everything I did in the last five weeks into this race, so to do it all and work so hard and then miss it is a disappointment. I?ve kind of sacrificed the races I?ve to done up to this point to prepare for this. That?s justifiable if you do a good result but I didn?t, so it feels a bit of let down after the last few weeks. But that?s part of being an athlete. When it works it?s good but when it doesn?t it?s not fun.? ?At this moment in time it feels like I?ve had a very long season. I felt on top of it a few hours ago but now all of a sudden it feels if I?ve been going since January, which I have. Maybe I?ve stretched myself a little bit thin but it was worth a go, that?s my job but it?s been a big long year.? Despite the pain of a bad result, Millar was optimistic that he?ll bounce back for Sunday?s road race. ?I?ll be fine again tomorrow but I?m feeling a bit sorry for myself now,? he said. ?I think Sunday is going to be a lot harder than people think. We thought that the last two years in Salzburg and Stuttgart were going to be hard and then they weren?t. Everybody is saying that this course isn?t that hard, so I think it?s going to turn out the opposite and be very hard.? ?Inevitably the road race follow a strict protocol with everything happening in the last two laps and I don?t seeing it being much different this time. It depends on how the Spanish ride; they might try and make it had as possible for Valverde. We?ll see.? ?This result will probably make me more motivated for Sunday, it tends to happen like that. I?ll be very geed up for Sunday hopefully. The fitness is definitely there, we?ll see. It?s a much different event. When I don?t do good time trials I tend to do good road race. We?ve got a good team for once. We?ve got a six man team and so we can race together and help each other more and enjoy it. ?